We're still a long way from September, which is when new iPhones are traditionally unveiled, but the rumors keep coming thick and fast. The latest speculation adds a new twist to a feature that's been talked about before: wireless charging. According to a new report from Macotakara, citing sources inside Apple's Asian operations, wireless charging is only going to appear on the most expensive iPhone 8, and you're going to need to buy a separate adapter on top of the cost of the phone. That contradicts what other analysts have said - that all three 2017 iPhones will come with wireless charging. Based on the anonymous tipsters speaking to Macotakara, you'll need to fork out for the most expensive iPhone and then purchase another adapter if you want to charge your Apple smartphone without wires. There are a few other nuggets of information to be had from the Macotakara report. Apparently the new phones won't come with a 3.5mm-to-Lightning port adapter, as the iPhone 7 and iPhone 7 Plus did, so you're going to have to think seriously about upgrading your wired headphones. The new article also floats the idea of a 5-inch iPhone being added to the line-up this year, and again that's something we've heard before. 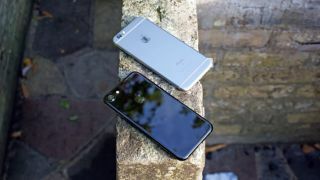 Several sources have now indicated that there are going to be three iPhones to pick from in 2017, with one possibly being a 'special edition' release to celebrate the tenth anniversary of the device's launch. Of course it's still early days for the next generation of iPhones and we've got another eight months to wait before Apple shows us what it's working on. If you're holding out for wireless charging though, you might want to start saving up.